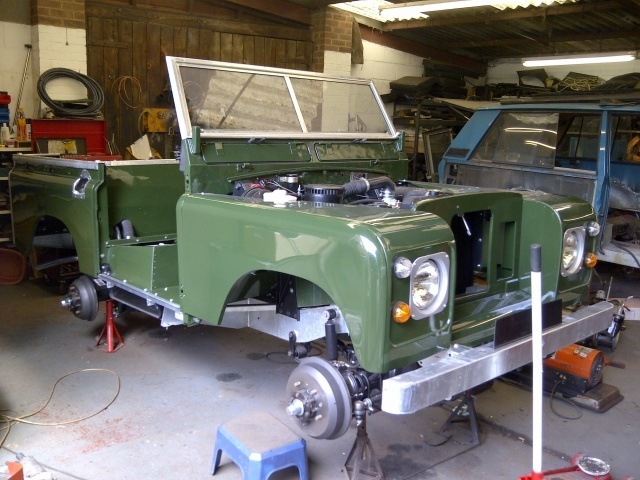 This is the restoration of a Land Rover Series 3 SWB for a customer. 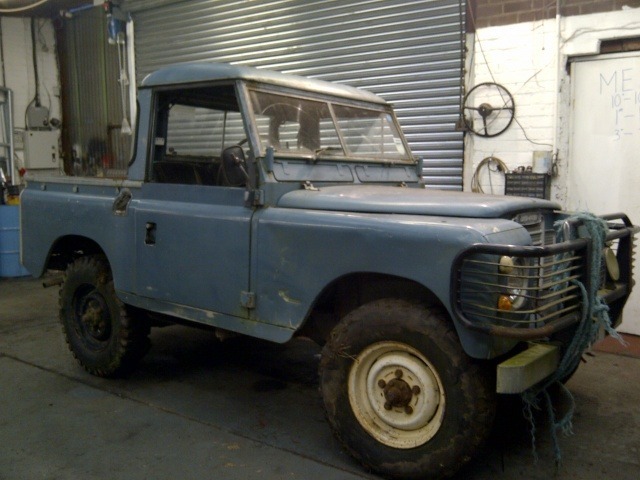 It was in a very poor state and in need of restoration. 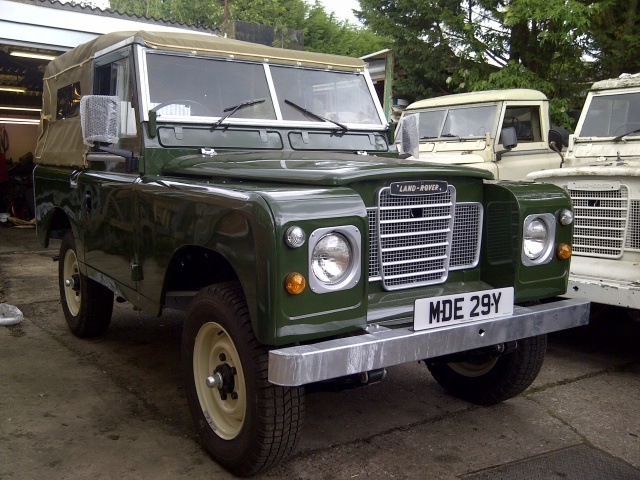 We restored this onto a new galvanised chassis with new galvanised bulkhead and also converted it from its original diesel engine to a 2.25 petrol. 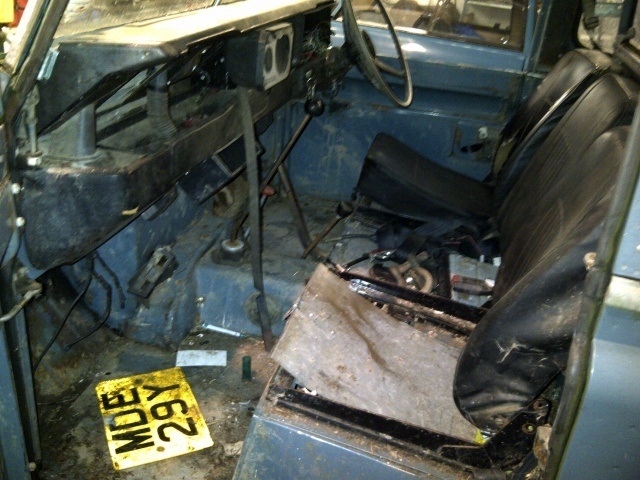 All mechanical components were either reconditioned or new. 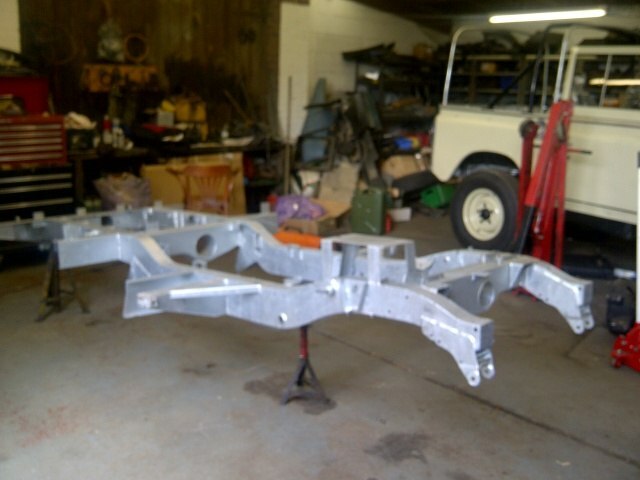 The axle casings and fixtures were shot blasted and then powder coated for longevity and look superb. 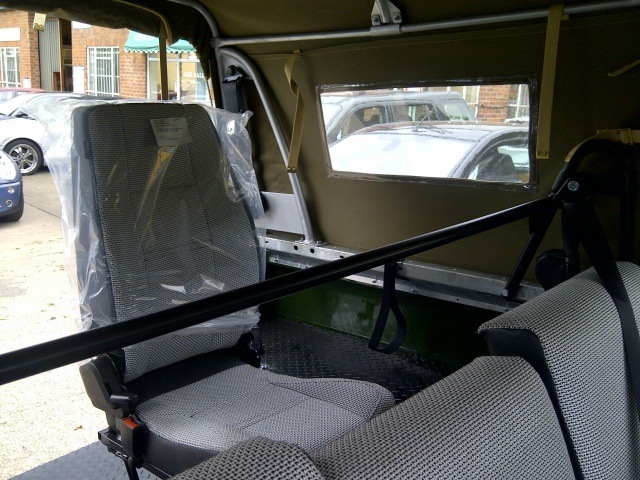 Bodywork was refurbished and new panels fitted where required then all panels were sprayed off the vehicle. 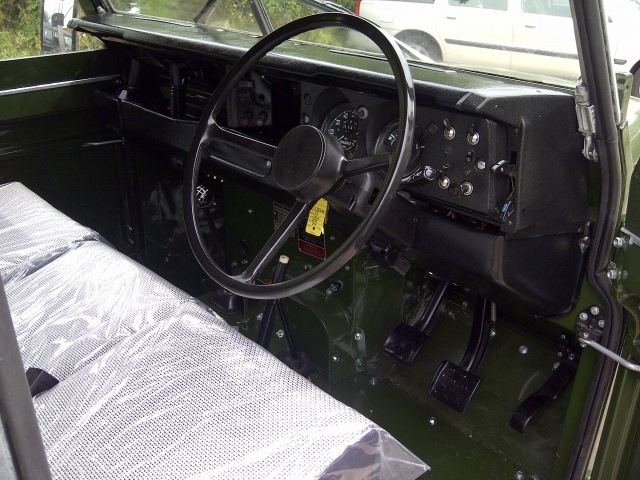 Interior was fitted with new seats in caviar cloth and forward facing rear seats with 3 point seat belts fitted to make it suitable for family transport. The end result is a stunning looking vehicle that will last a long time.